Many adult patients are understandably anxious about having dental treatment. For them the thought of going to the dentist and having their teeth worked on while totally awake is something that they find very difficult to deal with. For a lot of patients this can relate to a previous childhood bad experience at the dentist. These patients then become more anxious and develop a fear of going to the dentist and avoid even routine dental checkups. This leads to a vicious circle where patients do not go to the dentist and if they do have to go they often go in an emergency situation which is all the more stressful. At Langley Dental Practice, Dr. Tariq Drabu is able to offer anxious adult patients treatment under intravenous sedation. Dr. Tariq Drabu uses a drug called midazolam. When midozalam is injected into a patient the patient feels very relaxed and their anxiety levels come down. This allows dental treatment to go ahead. Many patients report that they feel very relaxed and calm and most patients do not even remember anything at all about the dental treatment they have just had. Treatment under intravenous sedation is a very safe and effective way of overcoming your dental fears and anxieties. Here at Langley Dental Practice we have been providing this type of treatment for more than 10 years. 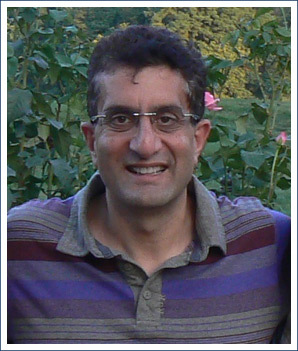 Dr Tariq Drabu himself has been treating patients under sedation for over 20 years and so has a wealth of experience. This type of treatment is suitable for patients over the age of 18 years. If you require routine dental treatment under sedation, we would be delighted to work with you to overcome your fears and anxieties. This treatment is provided on an independent basis with a full assessment and treatment plan starting at just £50. Please contact our reception staff on 01616432428 for further details.